It is so heartbreaking to lose a beloved pet. They always seem to know the end is in sight much farther in advance than their owners are willing to accept it. I think it is a gift back when they ease out of life this way. I hope that Creepers found a peaceful place to rest. 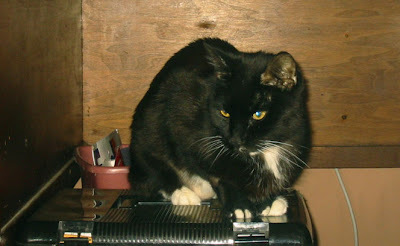 Our cat Ted had been through many traumatic experiences as well - both health and household related. He died two years ago and I was still posting about him as recently as this past September. I think I'm done now though. It takes a long time. So sorry for your loss. I'm just now catching up on your blog. Very sorry to hear about Creepers. But that was one heck of a beautiful post you gave Creepers.